DePaul University Rowing was established in 2012 and gained formal recognition from the United States Rowing Association in 2013. The team utilizes two separate facilities on the Chicago River for indoor- and water-training. Our women's and men's teams compete in regattas nationwide against other collegiate-club and varsity programs. Tryouts are held in the fall and practices are scheduled in the early morning during the academic year. 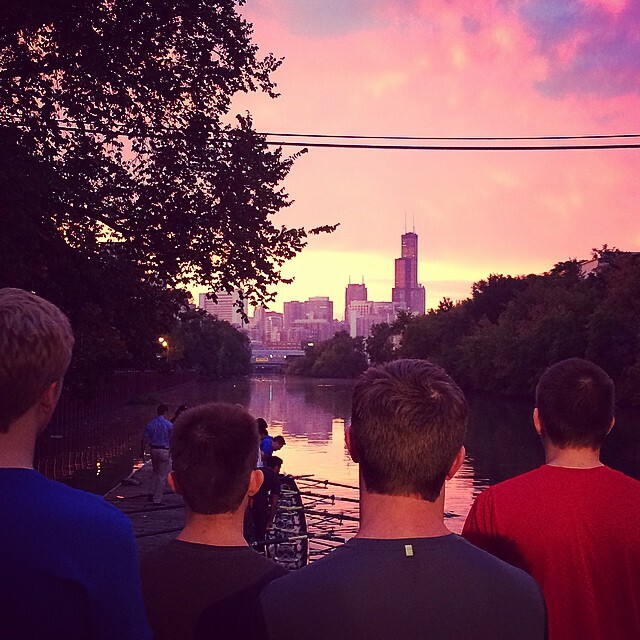 DePaul University Rowing is very competitive; restructuring occurs at multiple points throughout the year to field the fastest boats possible. We welcome all, but in return we ask for dedication. We will teach you the rest. 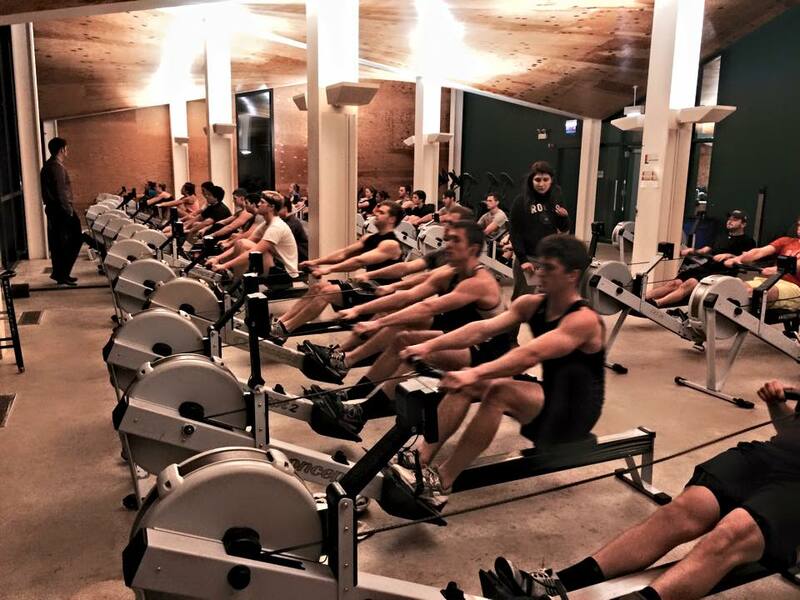 The main boathouse that DePaul Crew rows out of is located near DePaul University's Lincoln Park campus on Weed Street, just off the North and Clybourn intersection. DePaul Crew members are also members of the WMS Boathouse at Clark Park, a state-of-the-art, multimillion-dollar facility designed by the renowned Studio Gang Architects. We utilize their indoor-rowing tanks and erging facilities year-round, and especially during the winter season. 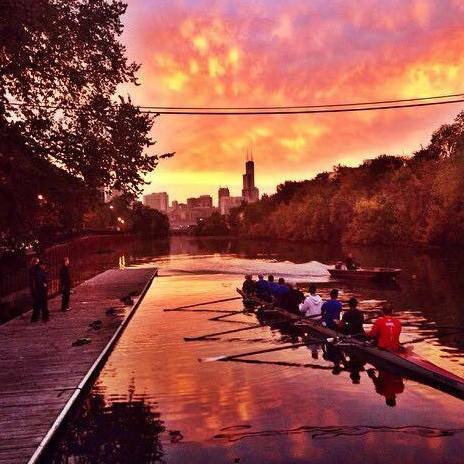 DePaul Univeristy Rowing was founded by the current Alumni Organization President, Dhir Desai. It was Desai who made the required connections to get the team off the ground, which included recruiting Thomas Lawrence, now a co-founder. An essential piece of the puzzle was also filled when the team recruited former UCSD oarsman and current Program Director, William Scherba. Entering the 2014 season, the team recruited a former collegiate teammate of Scherba's, Justin Gordon, to assist in coaching and program development. In the continuing evolution of the program, Betsy Trevarthen was hired in the fall of 2014 as the novice coach for the first DePaul Women's crew, along with assistant coach. The team welcomes Men's Novice Coach Raf Miastkowski in the fall of 2015, and looks to maintain its impressive growth.